Industrial Scale Calibration and Balance Calibration services will let you know if your equipment is reporting precise measures and weights when in use. Calibration compares the output of the equipment against a standard value. Scales and balances need to be calibrated at regular intervals to ensure that they will continue to provide accurate readings over time. Inako Persada has the technical expertise and equipment to provide balance and scale calibration services. Service is provided for industrial and lab equipment, and for mechanical and digital models. 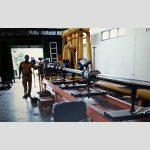 Inako Persada is which has been in business since 2010 providing clients with fast, reliable inspection and test results. Calibration services are A2LA accredited and results are NIST traceable. Don’t leave accuracy to chance when our team can provide the calibration inspections and the reassurance you need. 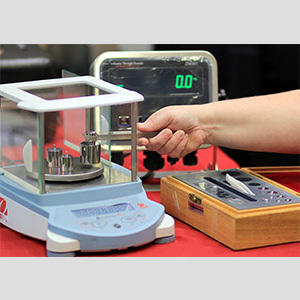 Our technicians will verify linearity, repeatability and eccentricity during calibration to ensure your instruments will be able to meet all of their performance obligations. 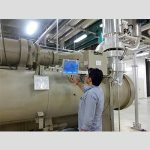 You will get all results and applicable information in a Calibration Certificate. When it is time for recalibration, we will send you a reminder notice to help you keep track of the frequency schedule. Shipping scales, counting scales, crane scales, dynamometers, etc. Weight / mass capacities to over 1,000 lbs.